This is a great idea... I just need to find time to sort through all of our wedding crap! Also, craigslist is a great place to find vendors under the event services section. I've seen some amazing photographers at great rates as well as DJs, caterers, etc. A lot of them are just starting out and willing to make great deals. Another good tip is, well for me as I am getting remarried, I sold my engagement ring from my previous marriage for a good deal at http://www.idonowidont.com and it was way easier than ebay. Worth checking out ladies! If you don't think you'll get any cash or don't need it for the wedding, you can also find a free taker by posting on your local Freecycle group! 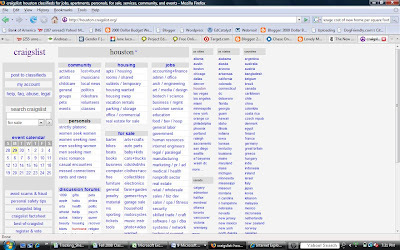 www.freecycle.org for the list of all groups around the world! Amazon.com is a great resource if you have books, cds, dvds, etc. to get rid of. I've sold three books in the last two days and made $25. Amazon does take a fee, but in my experience items sell there more quickly than they do on ebay. This is what we're doing as well! I can't wait to raise the extra cash! As we're moving in together, we've got TONS of extra stuff that we just don't have the space for. I'm saying goodbye to a couch, a bass guitar, and TONS of kitchen stuff. Cha-ching! This is a great idea. My fiance and I had been living together for some time and were on the brink of getting engaged right before we moved across the 4 states so I could start a new job after 5 months of unemployment. Together we came up with a plan to pull together some money for an engagement ring by having a huge garage sale, selling some items on craigslist and cashing in the change jar we'd been saving for a few years ... I'm so proud of the way we worked together to accomplish a goal that was important to both of us.